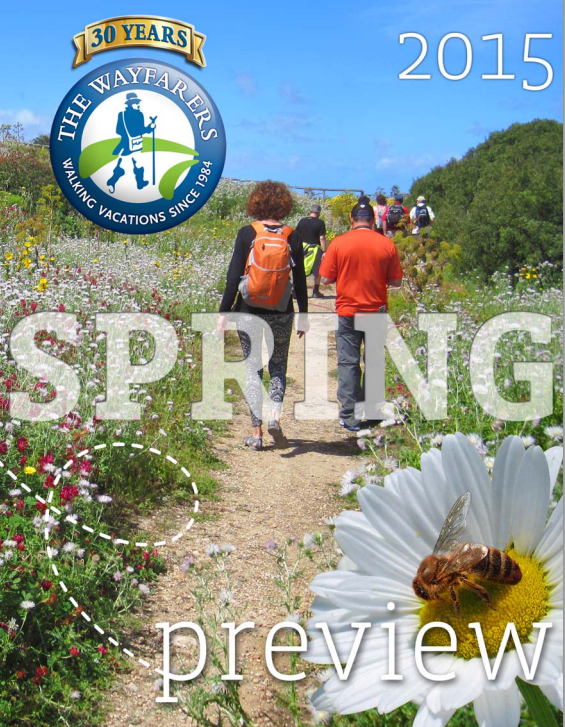 Highlights of a historic pilgrims’ trail are being offered as a new itinerary for 2015 by the Wayfarers Walking Vacations. It is one of three brand-new all-inclusive Walks in the program. The others are the UK’s Northumbrian Coast and the Puglia region of Italy. The Via Francigena is an ancient 1,200 mile route across Europe from Canterbury, England, to Rome, neglected over recent years, but now undergoing a resurgence in popularity. Pristine beaches. Cosmopolitan cities. Incredible wildlife. Enjoy the Four Seasons experience every step of the way as you travel around the world on the newly designed Four Seasons Jet. At every stop, enjoy world-class accommodations at Four Seasons hotels and resorts that embrace the natural beauty and authentic character of each destination, including Seattle, Tokyo, Beijing, Maldives, Tanzania, Istanbul and Marrakech, to name a few. For more information, visit www.tcsworldtravel.com. 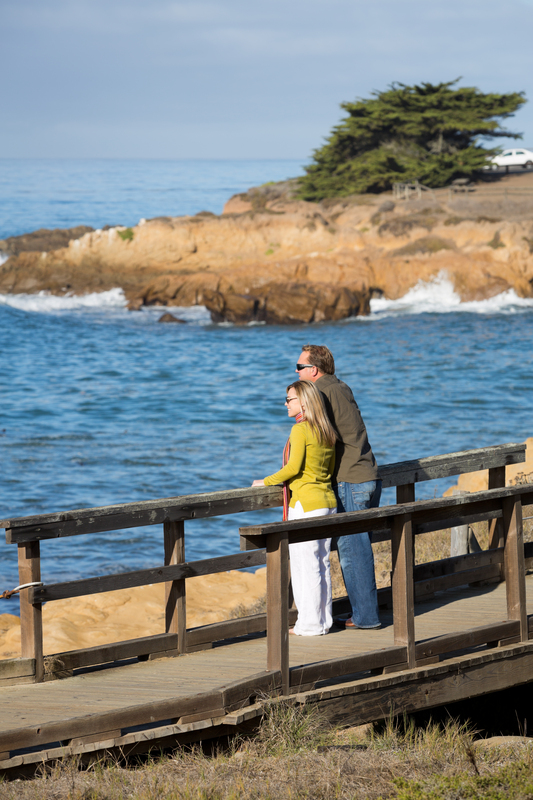 One of the most breathtaking journeys along the California Coast is the Highway 1 Discovery Route, which encompasses a 101 mile road trip that showcases 10 different artisan towns and seaside villages, each one rich in character and history. While our journey did not allow for a full tour of each town, the highlight included the small community of Cayucos, an anchor in San Luis Obispo County. The home base was Cayucos Beach Inn (cayucosbeachinn.com), which is within walking distance to the many features of the quaint town of Cayucos and only a short drive to the center of Morro Bay. 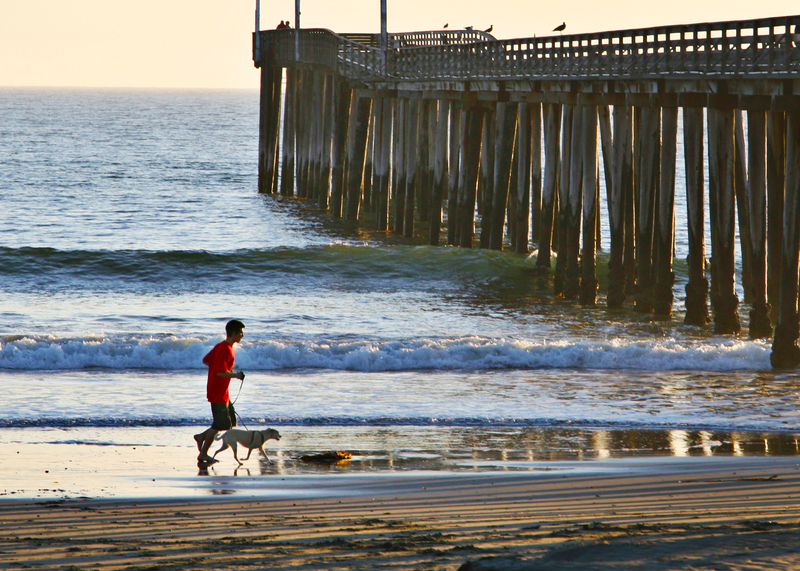 Walk on the historic pier in Cayucos to learn about the history and restoration efforts of this small beach community. Estero Bluffs State Park, a kelp forest with trails along the Estero Bluffs, just north of Cayucos. 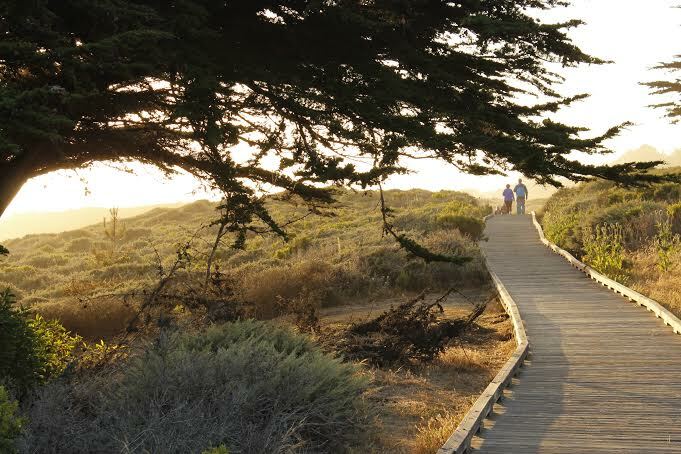 Featuring views of sea otters and 355 acres of grassland-dominated coastal terrace that slopes from Highway 1 to the Pacific Ocean. Hoppe’s Garden Bistro (Cayucos), located in the Old Way Station, with a rich history dating back to 1876. As a vegetarian, my favorite menu items were the butternut squash soup and butter lettuce salad. My companion’s favorite item was the sea scallops. For more information and directions as well as hotel reservations, visit WineCoastCountry.com. The International Night Market on Friday, September 5th at Bethlehem Park was themed “Asia in Palau”. The Asian region is the largest and most populous region in the world composed of a wide variety of ethnic groups and cultures. The highest ranking visitors to Palau are from the Asian Region: Japan, Republic of China – Taiwan, Mainland China, and Korea, respectively. 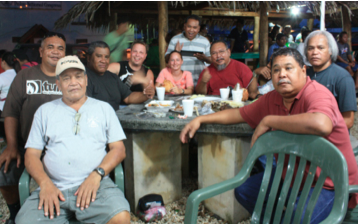 Right here in Palau, many Asian ethnic groups including Filipinos, Chinese, Japanese, Koreans, and Bangladeshi have become part of our community. This prompted PVA to take a closer look at Asia: those coming to visit and those who are now settled and are part of Palau’s community. As a means of “exploring” Asian Region through cuisines, PVA reached out to the various local restaurateurs to share the unique taste of Asia at the Bethlehem Park. Representing India was The Taj Palau: a very popular Indian restaurant that joined the Night Market for the very first time to share some of their specialties including Butter Chicken, Beef Curry and Vegetarian Curry. Representing a fusion of Japanese and European cuisines were: The Fisherman, Tomoko’s Kitchen, and the Red Rooster Café. The Filipino Community of Palau (TFCP) was also present to serve Filipino cuisine including local favorites of pork and beef kebabs. These vendors were joined by our regular vendors selling local foods and Arts & Crafts. MJ Burger Hut is another regular vendor present to share their now famous roast pork and other Filipino delicacies. Most notable of the regular vendors was Kayangel State serving “Aho”, a flour and coconut porridge. A specialty of the State that is popular with the locals, it has gained a following with the tourists. As usual, the night market was a successful sharing of foods cultures made possible by all vendors present. To complete the cultural exchange and exploration of “Asia in Palau”, the Bangladeshi Association, Inc. of Palau was on hand to share their culture through performing arts and fashion. The crowd was delighted with presentations of Bangali traditional and contemporary dance and flute performances. The group also shared Bangali fashion with a demonstration of the Panjabi – men’s traditional prayer dress, and the Tupi – traditional prayer cap. The crowed was also enchanted by the presentation of Bangali women’s fashion by Mrs. Mosammat J. Azad demonstrating the Buka or traditional dress worn by married women and Ms. Morseda who demonstrated the use of the Sari. The Sari is actually an 18 feet long material that is fashionably wrapped around a woman’s body to form a dress. Ms. Helen Gulibert was the lucky member of the audience who was chosen to be part of this demonstration. 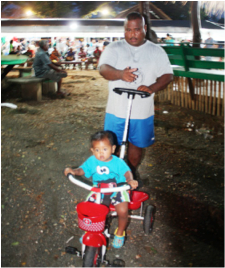 Approximately 700 locals and tourist enjoyed a night of cultural exploration and discovery that is the underlying theme of all Night Markets. PVA extends its appreciation to all of the vendors who joined on this night making the event a true cultural exchange. Appreciation is also extended to the Bangladeshi Association, Inc. of Palau for their part in sharing a bit about Bangladeshi culture. The next Night Market, through special arrangements with US Embassy Koror, is on Tuesday, September 16, 2014. Please call PVA at (680) 488-2793/1930 for information on vendor registration and program. 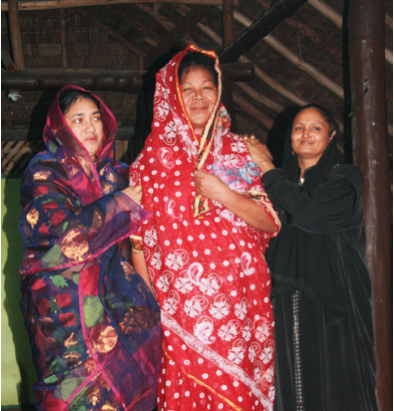 Ms. Morseda in a Sari, Ms. Helen Gulibert – Palauan Sari model, and Mrs. Mosammat J. Azad in a Buka. The U.S. Department of Transportation estimates that Americans make more than 405 million business trips each year. Whether these business trips are 250 miles from home, which is most common, or they are 1,000 miles or more from home, which accounts for about 7 percent of the trips, it’s important that business travelers do all they can to remain healthy. The last thing that employers need is for those they send on trips to come back home sick, creating a loss of productivity in the days that follow. Watch the food. It’s easy to grab things as you are walking through the airport, but they may be options that are loaded with fat and calories. Watch the snacks, opting for healthy choices even if you have to carry some fruit and nuts with you. Also, depending on where you go there may be some places where it’s safer to avoid raw foods, street vendor foods, and to also stick to factory bottled drinks. Keep exercising. Maintaining an exercise program prior to your travel will help you do better while traveling, too. During your traveling it is important that you still keep exercising. Look into the hotel gym, pool, nearby gym, or even consider going for a walk or jog around the area where you are staying. Stay hydrated. Be sure to get enough water during travel. Your best bet is to take a bottle of water on the plane with you, but purchase it after you have already made it through the security gate. Even better, purchase a reusable bottle with a built-in filter that you can use while traveling. Clear your mind. Business travel can be a cause for a lot of stress. Do something to help reduce the stress. In addition to the exercise, other good options include meditating, journaling, taking a walk, or reading. Mind the germs. Frequent hand washing is going to be your best option for fighting the germs. They are most commonly found on the plane tray tables, in the bathroom, and on the hotel room remote control. Consider taking a couple of antibacterial wipes to clean those things off before using them. Sleep tight. Getting proper rest is essential when it comes to stress reduction and helping to keep your immune system strong. Seek out comfortable accommodations and ask for extra linens if they are needed. Plan ahead. Those who spend a good portion of their time traveling for business should plan ahead to ensure they remain healthy. They can scope out where they will stay, exercise, and even make a list of restaurants in the area offering healthy meal options. Along with a delicious variety of neighborhoods to explore, San Francisco offers some of the best ice cream in the country in an array of classic and unique flavors. Here is a list of some of the coolest spots in the city to indulge a sweet tooth. Harken back to the days of the soda fountain and delicious memories of childhood will come back to you. The Ice Cream Bar is a full service 1930s style soda fountain and classic lunch counter, serving house-made ice cream and sodas. On top of this, they serve “remedies” for the 21 and up crowd. What’s popular: New Orleans Hangover (non-alcoholic). What you should get: Sassy Granny Sutton (Alcoholic). Ghirardelli is a San Francisco institution that has been around since 1852, when they started making the chocolate that we all know and love. Today, Ghirardelli is home to some of the most decadent ice cream sundaes in the city. What’s popular: Ghirardelli Square (Hot Fudge Sundae). What you should get: Treasure Island (Warm Brownie Sundae). An all-organic ice cream, their unique flavors and creamy texture make it impossible to have just one bite. What’s popular: Lemon Cookie. What you should get: Mint Confetti (extra points for the awesome name). Inspired by Grandma, Over the Moon is a creamery with a retro bent. The combination of rich creamy ice cream and warm, gooey, fresh-baked cookies will hit the spot every time. What’s popular: Honey Lavender. What you should get: Coffee Caramel Crunch (with cookies). A local favorite, there will always be a line out in front of Bi-Rite Creamery, especially if the sun is peeking out behind the clouds. What’s popular: Salted Caramel. What you should get: Ricanelas (cinnamon with snickerdoodle cookie pieces). Before there were lines out the door or inventive flavors with the word secret in them, there was Mitchell’s. Established in 1953, Mitchell’s has been making ice cream in small batches that people keep coming back to time and time again. What’s popular: Stracciatella. What you should get: Grasshopper Pie. After realizing there was not one decent scoop of gelato in the Bay Area, the owners decided to make their own. After traveling to Italy and meeting with master artisans, they started making their small-batch gelato by hand. What’s popular: Ube (Peruvian). What you should get: Zabajone and Nocciola. Want a traditional scoop of ice cream in the Richmond? Joe’s is the place. The family-run ice cream shop has been serving its award-winning homemade ice cream flavors to locals and visitors alike since 1959. What’s popular: Blueberry Cheesecake. What you should get: Coffee Crunch and a Joe’s It. What is a global franchise today actually started in 1948 on Union Street and Hyde. Over the years, Swensen’s has modified their offerings to match the ever-changing American palette, but the three things they have never sacrificed are quality, quantity and value for your money. What’s popular: Sticky Chewy Chocolate. What you should get: Swiss Orange Chip. Marco Polo and Polly Ann are two ice cream shops that offer delicious flavors such as black sesame, arcobaleno and green tea. What’s popular: Durian. What you should get: Lychee.